Hello I’m Tim Smith. 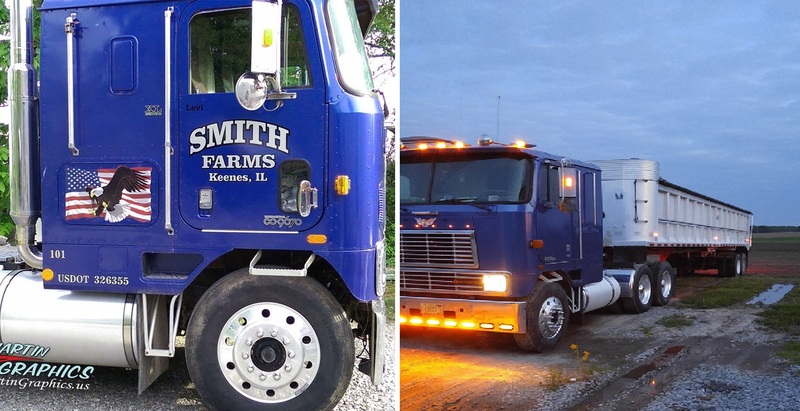 My uncle helped me purchased this truck 7 years to get started on farming. Since I have paid him back through the aid of this truck. We purchased it off the orginal owner for 5,000 and only had 630,000 original miles. This truck has been my only source of hauling my grain to the elevator, hauling our excavating equipment, and farm equipment. Never had let me down yet only thing ever done to it was normal every day maintenance. Truck has 879,000 miles on it to this day. Has a cummins 400 big cam with a fuller 13 speed. Sitting on 11r 24.5 tires. All alco alluminum rims no hidden steel wheels behind either. Has every option for the year available in it. I started restoring it in October of 2015 finshed in May of 2016. I completely stripped all paint off to bare alluminum primered 3 coats wet sanded and 4 coats of paint and 3 coats of clear coat. Reploished all rims myself by hand and it sure was a work out but I wanted to be the one to said I did it all myself. I am a 3rd generation farmer and my son’s name on the passenger door will be a forth. He’s 3yrs old and already is wanting this truck to be his and I plan on it. With that being said no it’s not for sale. 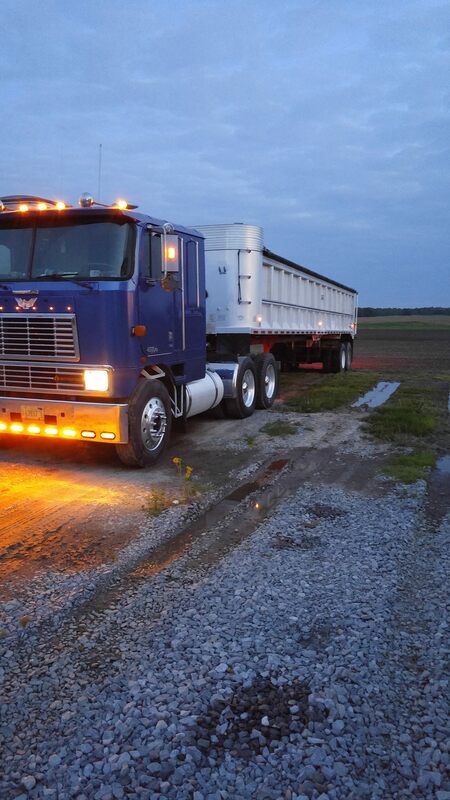 I know it’s not perfect but I know there are other cabover lovers out there thought I should share. 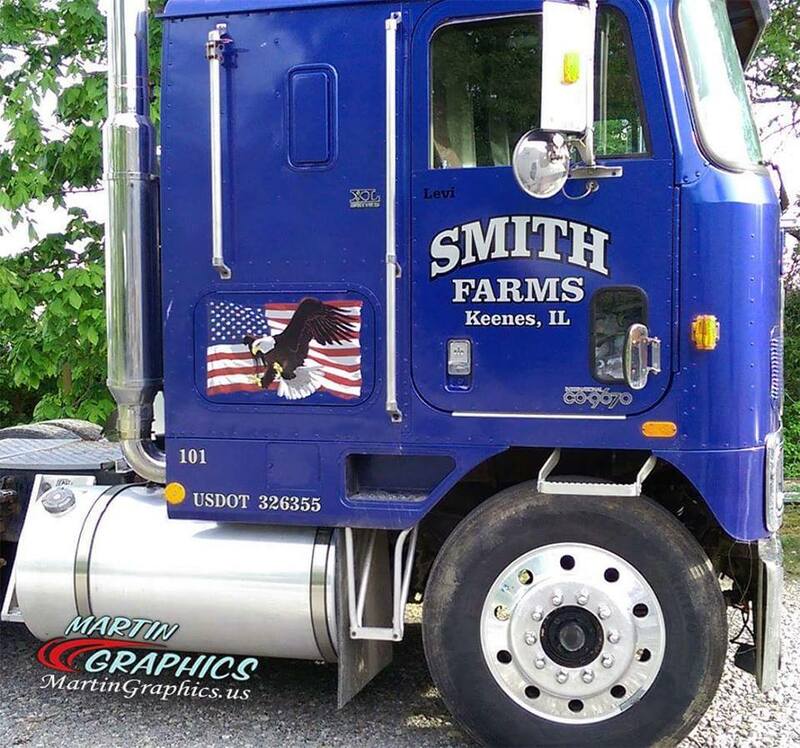 Do you have a truck you want to share? You can, at THIS PAGE. Previous Article Three Custom Big Rig / Fifth Wheel Combos!